New communication and information technologies often disrupt an entire array of business practices. Think of how radio paved the way for location-based advertising because businesses could market to consumers as they drove. Or, how television significantly changed advertising by allowing product demonstrations. Best practices often emerge through trail-and-error experiences. But, these practices often endure in the form of models that have limited relevancy for new technology environments. So, while technology changes are often abrupt, the old ways of thinking often endure well beyond their expiration date. Major technology changes require new models for thinking about how to maximize business results. Social media presents exactly that challenge. Social media represents both a threat and an opportunity to business leaders. 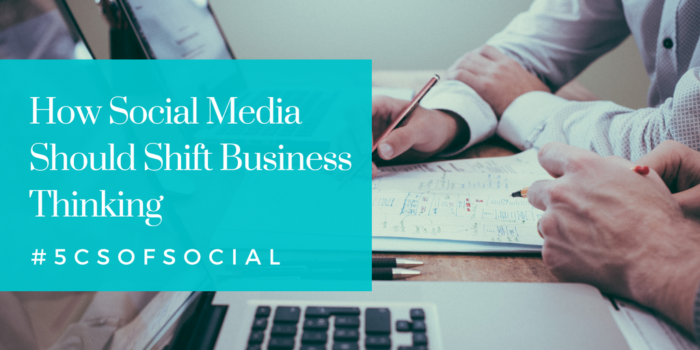 While many businesses are experimenting with social media, few have taken the opportunity to re-examine many of their business practices in light of this disruptive technology. 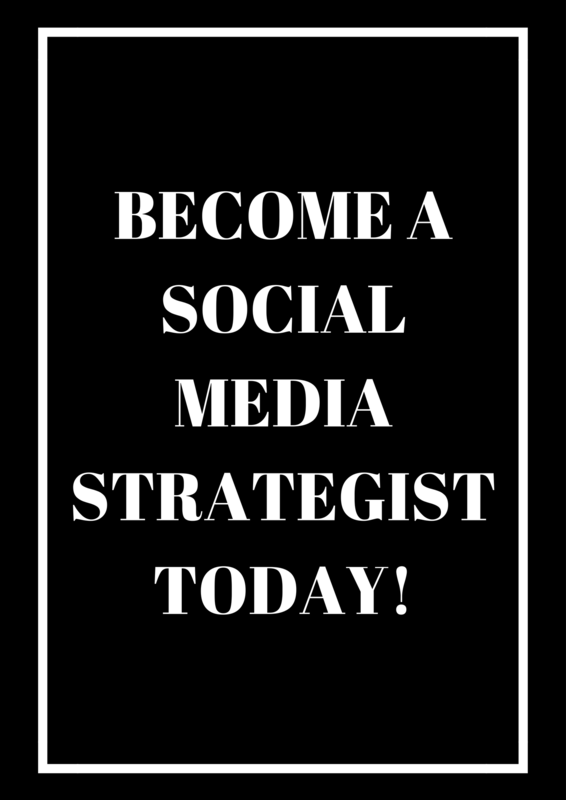 Ironically the fast-paced, dynamic world of social media often inhibits leaders from standing back and taking a critical, big picture view of this new communication tool to reach their target audiences. 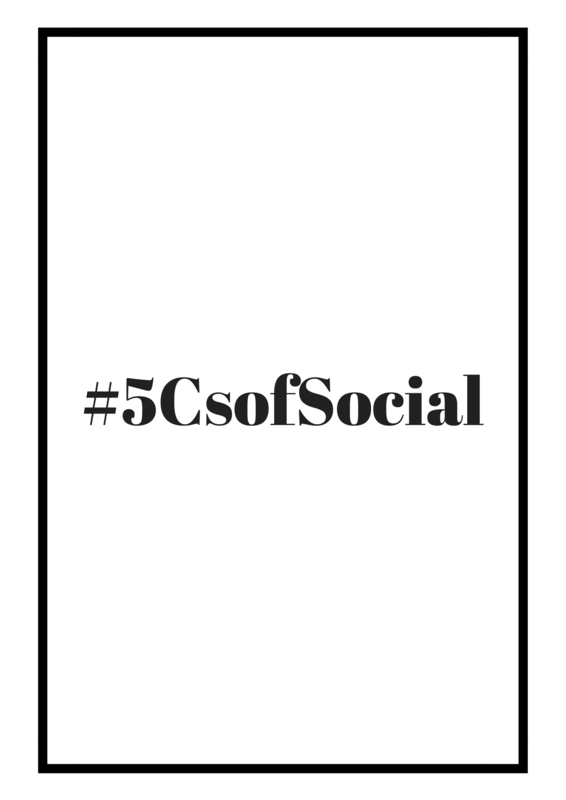 The 5 Cs of Social Media provides a framework for social media managers, digital executives and aspiring social media influencers to do just that. The 5 Cs of Social Media — Coordinates, Channels, Content, Connections, and Corrections — are interconnected elements used to craft an effective strategy. Coordinates are social media goals that enrich one another and are connected to the organizational goals. All too often organizations pursue goals in isolation and don’t focus on how the goals align and reinforce one another. Using the word “coordinate” instead of “goal” highlights the importance of alignment and creating synergy. The strategy is enormously successful because well over 80% of the audience members do as instructed during live performances and most will end up becoming social media and musical fans of the entourage. All this increases attendance, word-of-mouth advertisings, and sales of the group’s merchandise. While the group’s social media followers (nearly 60,000 Facebook fans) does not reach Kardashian levels, the Haygoods’ fans are not “fake followers” but represent a high percentage of engaged fans. That’s what a well-coordinated social media strategy should do! Facebook, Twitter, Instagram, and Snapchat are all major social media platforms. All social media platforms are also channels because, like all channels, these platforms shape and constrain communication between people. Focusing on channels, instead of merely social platforms, highlights that social media managers need to take a broader view of their communication methods. For instance, social media managers should also consider table kiosks, emails, websites, and even billboards when shaping their social media strategy. The channels themselves are tools. The way in which the Haygoods embrace the mobile phone channel during performances represents a more progressive view of social media strategy. This is the most visible and public dimension of any social media strategy. It consists of the words, images, and graphics shared on social media platforms. The universe of content choices is so large that it is difficult to determine what should and should not be posted. Too many organizations have an inward focus. “It’s all about me” may work on your website, but social media is, above all, social. It’s about your audience. That’s why successful social media users, like The Ellen Show, devote major social resources to promoting fans and guests. Categorizing your content can help, too. Is your content focused on people? News? Events? Amusements? Inspiration? Commentaries? Information? How-tos? 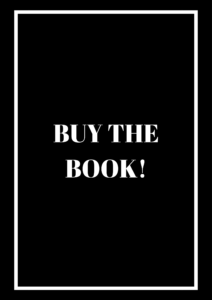 Calls-to-action? The next step is to think about optimizing the mix to achieve your organizational objectives. New York Times bestselling author, Gary Vaynerchuk advocates a “jab, jab, jab, right hook” strategy. Translation: the “jabs” represent content to inform, inspire or amuse; the “right hook” translates into a call to action. The 3-to-1 ratio makes much more sense than selling all the time (right hooks). In fact, too many calls-to-action will probably knock your social media campaign right out of the ring. This is the least visible dimension of any social media strategy. The connection component basically raises two questions: “What is linked to what?” and “Are these the optimal choices for success?” Maximizing connections between owned, earned and paid content is also important. Social media connection issues fall into two related categories: internal and external. One example of internal connections are the links between social media platforms and particular departments. More specifically, what is the most efficient way to route complaints that are expressed on social media to customer service or the PR department? How well these internal organizational connections are managed may determine whether your organization’s social media reaches its full potential. External connections focus attention on how well your networks outside the organization are reaching the right target audiences and helping you achieve your organizational goals. For example, universities that are recruiting traditional college-age students as well as returning adult students would, most likely, need to use different social platforms and a network of connections that engage each distinct group. Managing errors is one of the most under-appreciated elements of social media strategy. Careless post or tweets are inevitable. Likewise, customer complaints via social media are just part of our digital landscape. Crafting the proper correction protocols minimizes any lingering influence of these inevitabilities. Effective correction protocols ensure that potential reputation threats are quickly, accurately, and effectively detected and corrected. That is easier said than done. For instance, the viral video of the authorities dragging a paying customer off a United Airlines flight in April 2017 led to a stream of social media miscues by the company. A more effective correction strategy would have softened much of the backlash. Embrace those who push back, too. What they’re complaining about is often an early warning signal of more problems to come. Corrections addressed early are much more effective because it mitigates potential reputation damage. 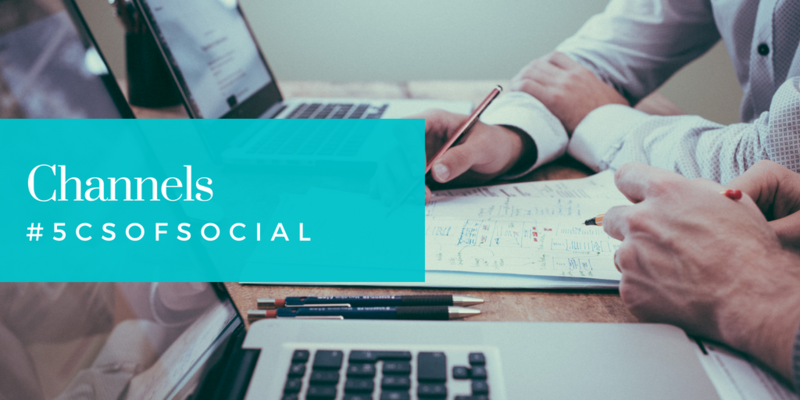 Knowing about the 5 Cs of Social Media will help business leaders better understand the complexities they must navigate when developing policies, managing systems, and setting the right tone in this new digital age.